New Delhi:(Page3 News Network)-On the occasion of the inauguration of Techmart, IITF 2012 here today the Union Minister of State with independent charge, MSME, Shri K.H. 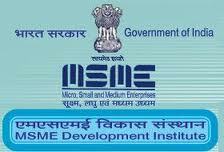 Muniyappa said “The MSMEs play a pivotal role in the overall industrial economy of our country. It is estimated that in terms of value, the sector accounts for about 45 percent of the manufacturing output and over 40 percent of the total exports of the country. Further, the MSE sector has consistently registered higher growth rate compared to the overall industrial sector. The major advantage of the sector is its employment potential at low capital costs. As per the 4th All India Census of MSMEs, this sector employs an estimated 60 million persons spread over 26 million enterprises. During the year 2012-13 an amount of Rs. 1276 crores for 53,826 projects has been released which is likely to generate jobs for around 4.31 lakhs. An outlay of Rs. 9700 crore had been proposed for PMEGP in the XII Plan, to set up 4 lakh projects (@ Rs. 23 lakh margin money per project) with creation of 32 lakh employment (@8 persons per project). Efforts are being made to take up the level of this scheme further by proposing to set up one lakh units each year for the next four years under the 12th Plan. The projected expenditure would be to the tune of Rs. 9200 crores which would generate employment opportunity to 32 lakh peoples. The Minister further added that he has asked KVIC to explore further avenues for development of village and cottage industries, Some of the steps being explored are:- 8 Spindle NMC charakas distribution village wise in backward taluks (one charaka earns Rs. 3000/- per month for each family); Distribution of handlooms one unit against two charakas; Providing training programs to Rural women in handloom weaving by giving stipend of Rs. 5000 X 6 months to attract new generation in Khadi sector; Replacement of old khadi, charakas, looms and other equipments for age old (50 years) machinery; Reintroduction of direct finance to new Khadi Institutions and weak institutions; Replacement of old khadi equipments and technical upgradation to improve quality; Simplification of procedures to issue Khadi Certificates, budget sanction etc., at Zonal level to avoid delay and to invite leading institutions MNC’s and Public Sector Companies, Private Limited Companies, Institutions take up khadi program to serve the rural areas with their own resources; Inviting Corporates and Private Limited Companies to take up under Income Tax Relief Act [80 GL Scheme]; Payment of interest subsidy on monthly basis to encourage bank finance by Khadi Institutions. Setting up of Khadi big bazaar’s OR Khadi Malls in Delhi, Mumbai, Chennai, Bangalore, Hyderabad, Jaipur, Chandigarh, Ahmedabad by leading Khadi Institutions extending Land allotment from the State Governments and subsidized finance from KVIC; Opening of first International Khadi Showroom and Export House to open gates to World by exporting Khadi & Village Industries Products at Muscat, Oman Country to attract the extreme Cold and humid countries by a leading and capable A+ Khadi Institutions, opening Khadi Kiosks in all 136 World Trade Centres to furnish availability of Khadi and Village Industries products to attract exporters. The Minister also met Ms. Elizabeth Thabethe, Deputy Minister, Trade and Industry, South African Government today. Various issues for bilateral cooperation between India and South Africa on MSME were discussed.